Surely you didn’t think some of the most iconic Star Wars characters ever would be missing from Battlefront? 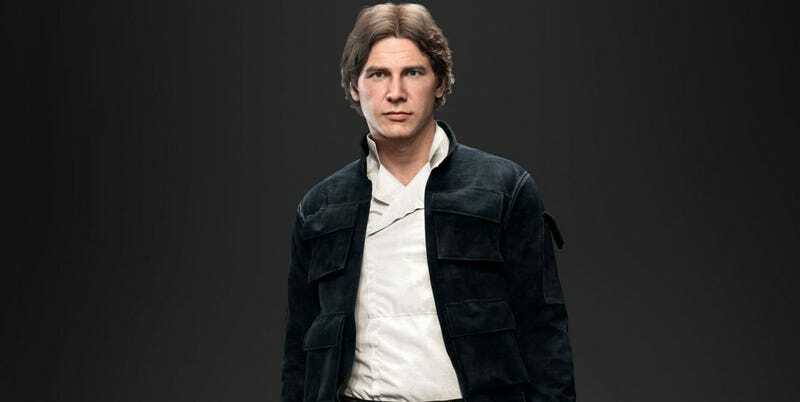 While it’s not a surprise that Han Solo, Princess Leia, and Emperor Palpatine will make an appearance in the upcoming Star Wars game, we now know how these characters will actually function within Battlefront. Let’s go through them in order, shall we? Remember the Star Wars: Episode IV: A New Hope scene where Han charges into a group of stormtroopers? Then you’ll know what to expect. Shoulder Charge is both an offensive and defensive move and can be used to quickly get in to battles – but also out of them. If it wasn’t obvious before, these powers are very true to the source material! Neat. Leia seems like a more support-oriented hero, but that doesn’t mean she can’t fend for her own, too. According to EA, she can buff her teammates and help them hold positions. Ability-wise, she’s got Trooper Bane, Enhanced Squad Shield, and Supply Drop. Trooper Bane is self-explanatory: it’s an ability that will one shot any Stormtroopers unlucky enough to be caught in its fire. Helpfully, it can also stun enemy villains. The shield ability on the other hand is so strong, you can use it hold strategic points on the map. Then there’s Supply Drop, which can provide a number of consumables for your team, such as health boosts and power-ups. Man...they really captured Palpatine’s creepiness, huh? This evil villain has three abilities: Force Dash, Imperial Resources, and Force Lightning. Force Dash does what it says on the tin...I can’t wait to see all the dramatic moments people capture of sudden, unexpected Palpatine. Imperial Resources is much like Leia’s ability, in that it lets you give out a variety of goodies to your teammates. Pretend it’s like you’re Oprah, but in space and, uh, corrupt I guess. And then of course there’s Force Lightning, Palpatine’s signature move that can fry everything in its path. It packs a punch here, and can even be upgraded to have a larger area of effect. You can read more about all three heroes/villains here.